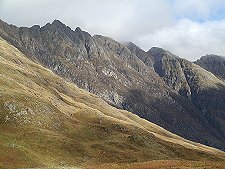 Glen Coe is a steep-sided valley climbing steadily south east from the village of Glencoe on the sea-loch, Loch Leven. 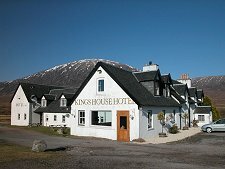 It eventually emerges from its enveloping mountains onto the wet plateau of Rannoch Moor ten miles away and at an altitude of over 1,000 feet. 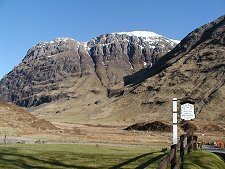 Glen Coe is best know for an event that took place here at 5am on the morning of 13 February 1692, but whose origins go back much further. 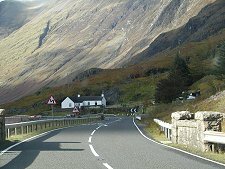 For the previous two hundred years the Glen Coe MacDonalds had been regarded as cattle-thieves, especially by the Campbells, whose more fertile lands lay towards Loch Awe to the south and Glen Lyon to the south east. As early as 1501 MacDonalds captured a Campbell castle on an island in Loch Awe. 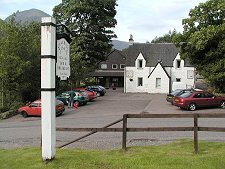 Many minor raids followed over the next 150 years, including one in which 30 MacDonalds were caught and hanged in Glen Lyon. 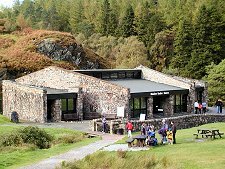 In 1646 a MacDonald raid into Glen Lyon led to the deaths of 36 Campbells and Menzies after a wedding. 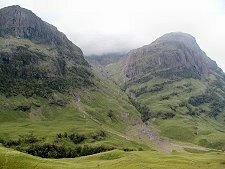 1685 saw the Atholl Raid, in which Glen Coe MacDonalds laid waste to large parts of Glen Lyon. 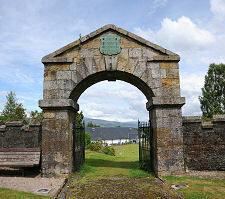 And in 1689 they burned down Achallader Castle, near Bridge of Orchy, in another skirmish with the Campbells. But it was a wider conflict that eventually led to the MacDonalds' downfall. In August 1691 King William III/II offered to pardon all the Highland clans who had taken up arms against him in the 1689 Jacobite uprising. These included the Glen Coe MacDonalds. The pardon was conditional on their taking an oath of allegiance to him by 1 January 1692. 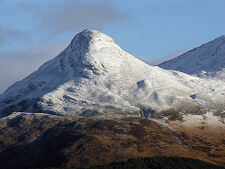 Clan Chief Alastair MacDonald arrived at the military fortress at Fort William on 31 December 1691, only to find he should have gone instead to Inveraray to take his oath. He eventually got there five days late. As a result, the Glen Coe MacDonalds did not appear on the list of clans who had taken the oath by the deadline. Still worse for the MacDonalds, the Secretary of State for Scotland, Sir John Dalrymple, 1st Earl of Stair, wanted to set an example by punishing one of the clans who failed to take the oath. 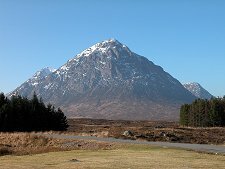 Although some had made no effort at all to take it, the Glen Coe MacDonalds were selected to set this example because they were unpopular, they had no stronghold, and they lived in a valley whose exits could easily be blocked. Over the following month, troop numbers at Fort William were increased. 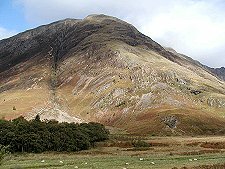 On 1 February, two companies, some 130 men, were moved south from Fort William and billeted with the MacDonalds in Glen Coe. The troops were commanded by Captain Robert Campbell of Glen Lyon, a 60 year-old bankrupt alcoholic. He was probably put in charge because he was unlikely to question his orders. These duly arrived, in writing, on 12 February, from Major Robert Duncanson based at Fort William. Captain Campbell and his men were to "fall upon the Rebells... and putt all to the sword under seventy." This was to happen at 5am the following morning, 13 February. 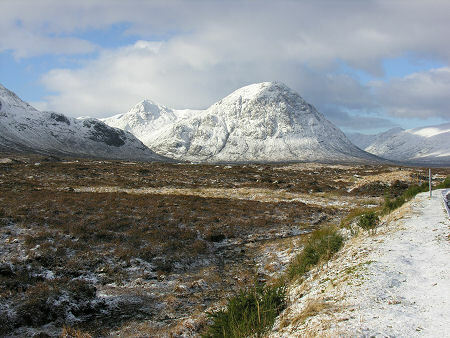 There were up to 500 MacDonalds, scattered over the lower reaches of Glen Coe. 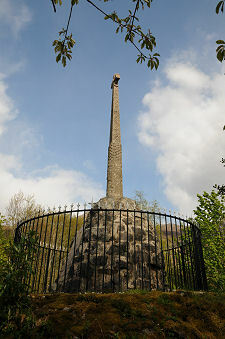 The start of the massacre was signalled by a fire lit on what is now called Signal Rock at 5am. It was dark, it was snowing, and reinforcements intended to block escape routes from the glen failed to turn up, leaving Captain Campbell to make his mark on history largely unaided. The massacre was ineptly carried out. Some 38 MacDonalds were killed by the troops, but the sound of the initial gunfire provide ample warning to most, who escaped into the winter mountains. An unknown number, perhaps twice as many as died during the actual attack, subsequently died from exposure. The public outcry that followed led to the resignation of Sir John Dalrymple. The military officers involved were left to continue their careers, though Captain Campbell eventually ended his days, drunk, in a gutter in Bruges. It would be wrong to minimise the deaths of 38 people, plus many others in the snow. 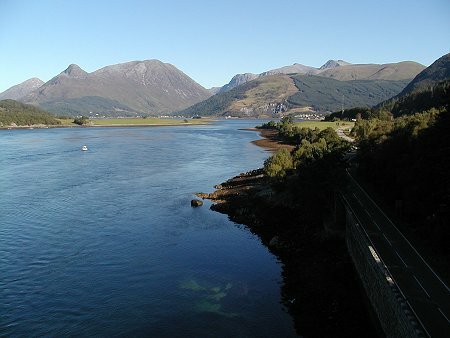 But Glen Coe's infamy is not really because of the number of deaths involved. The number of immediate victims was not much greater than killed by the MacDonalds in the less well known 1646 raid on Glen Lyon. 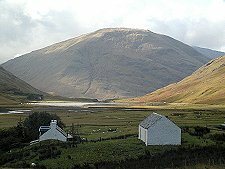 What offended Highlanders most about Glen Coe was the abuse of the hospitality offered by the MacDonalds to the government troops. 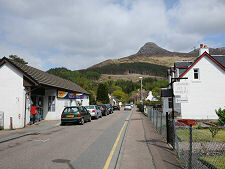 The massacre in Glen Coe has been transformed by popular history into something done to the MacDonalds by the Campbells. 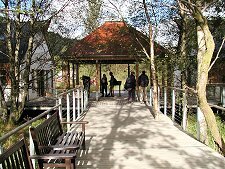 Certainly the Campbells had every reason to dislike the Glen Coe MacDonalds, and some Campbells were well placed in government and in the military establishment. It is also true that 12 of the 130 soldiers involved in the massacre were Campbells, including their Captain. But it is wrong to see this as just another episode in two hundred years of inter-clan cattle raiding and castle burning. The problem is that the straightforward Campbell vs MacDonald interpretation lets the Government of the day off the hook: which is perhaps what it intended by putting Captain Campbell in charge and leaving him to get on with it unaided. 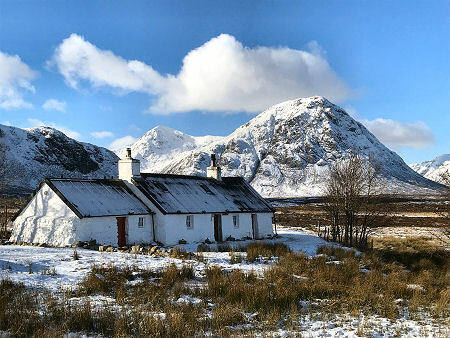 No, Glen Coe had less to do with clan rivalries than it had to do with the government's continuing efforts to suppress the Highlands and its troublesome residents. The orders for the massacre were signed by a Major in Fort William, but the action was authorised all the way up to the Secretary of State for Scotland, Sir John Dalrymple, and beyond, to King William himself. 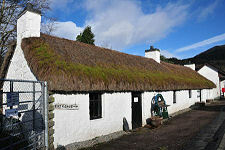 For more information about Scotland in this period, see our Historical Timeline. 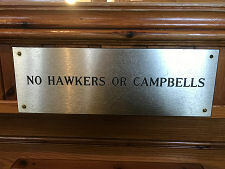 The clan vs clan interpretation is reflected in a "No hawkers or Campbells" sign displayed (tongue-in-cheek) in one local inn.